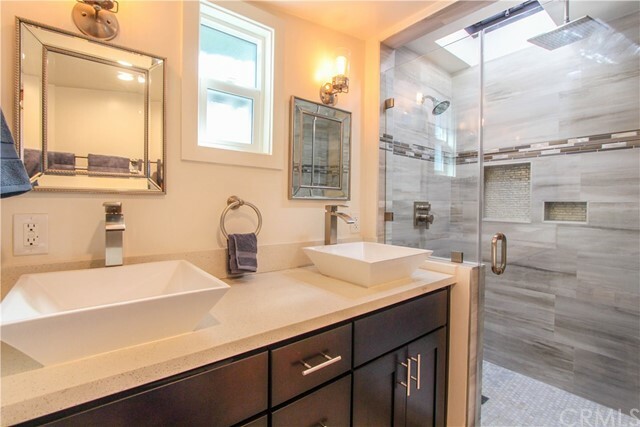 3 beds | 3.00 baths | 2,066 SQ.FT. 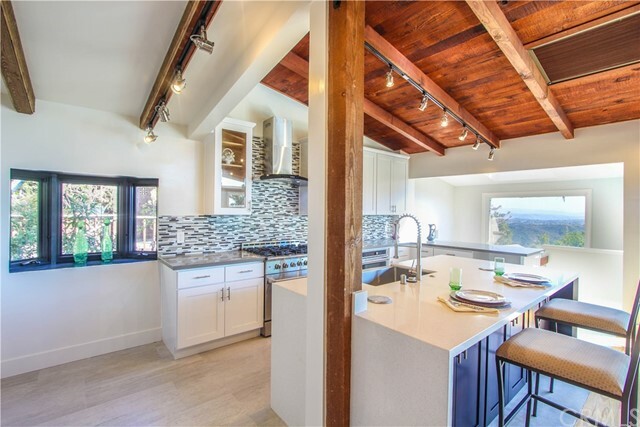 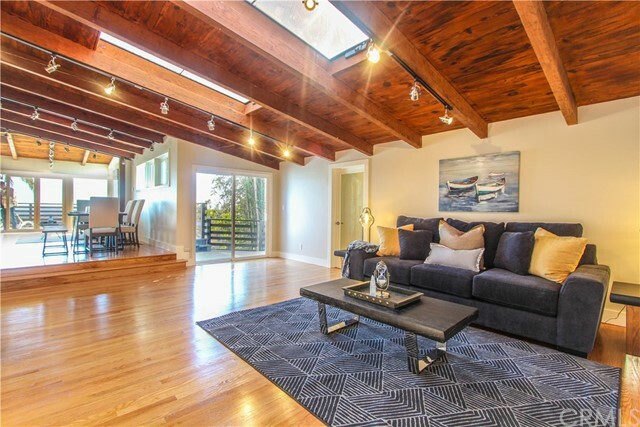 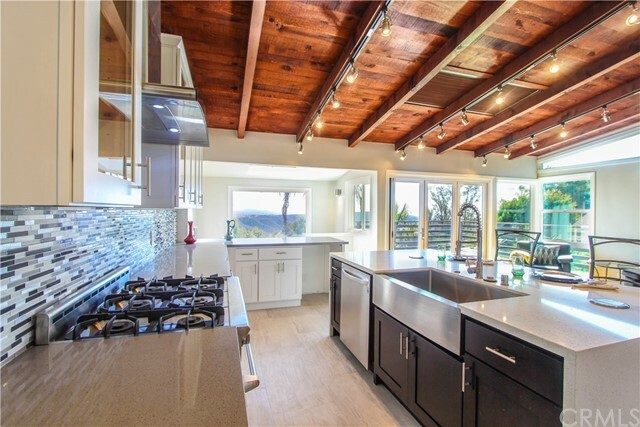 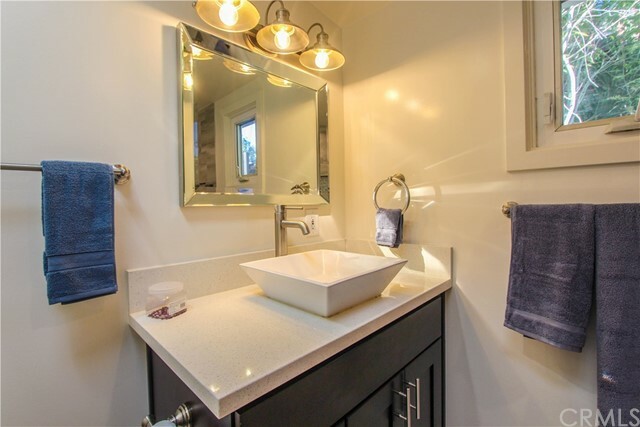 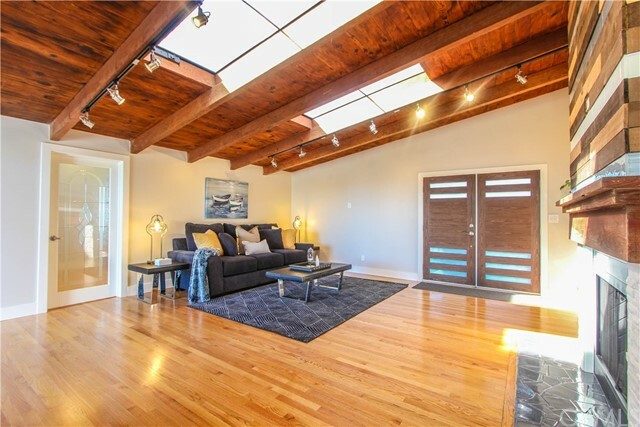 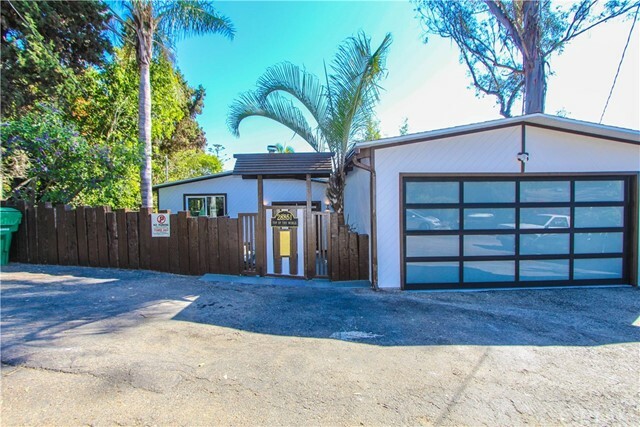 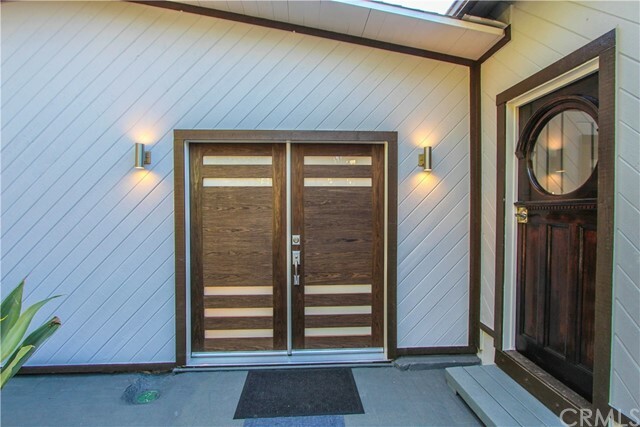 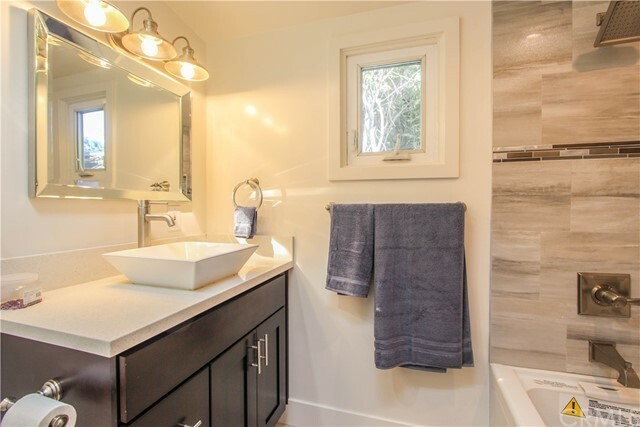 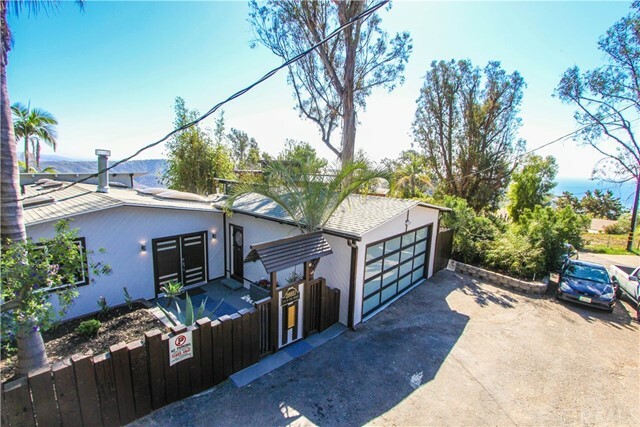 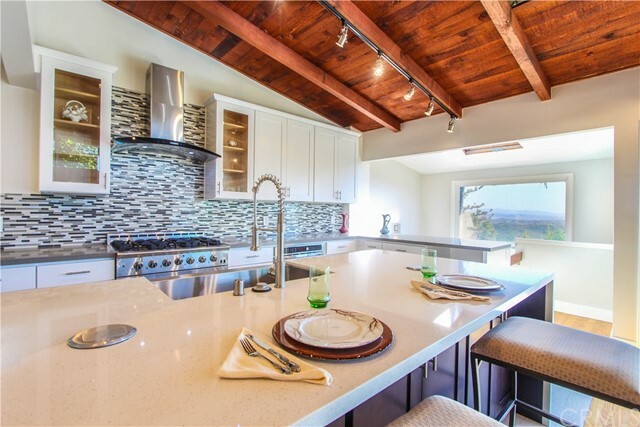 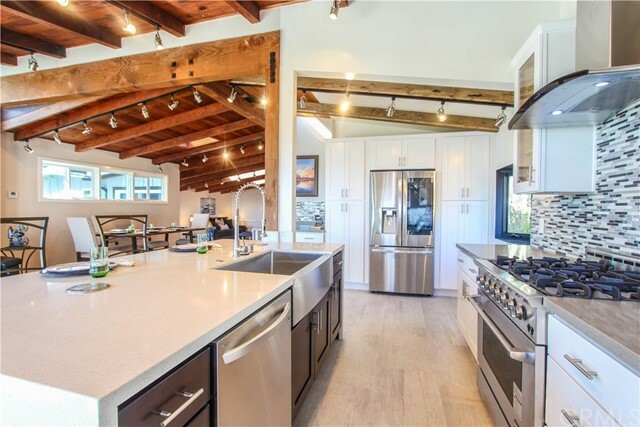 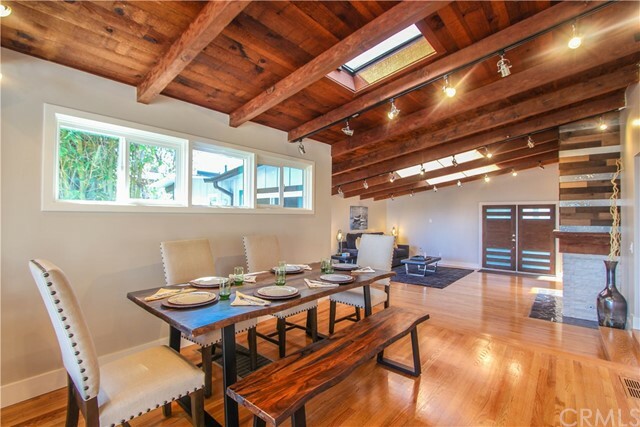 LAGUNA TOP OF THE WORLD Completely Remodeled bungalow, 2 level open concept home with modern finishes with original period classic design elements. 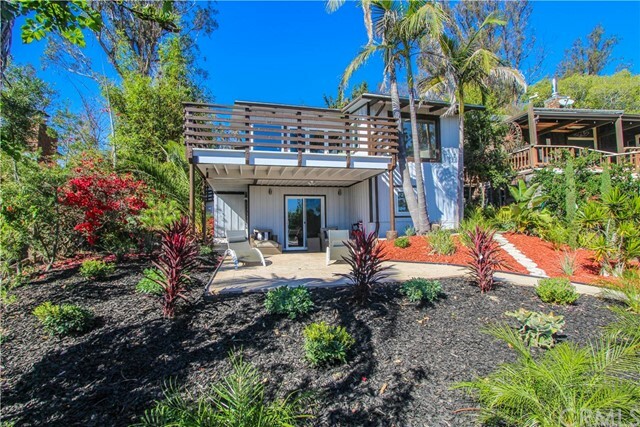 This Must See, 3 bedroom 3 bath , approx. 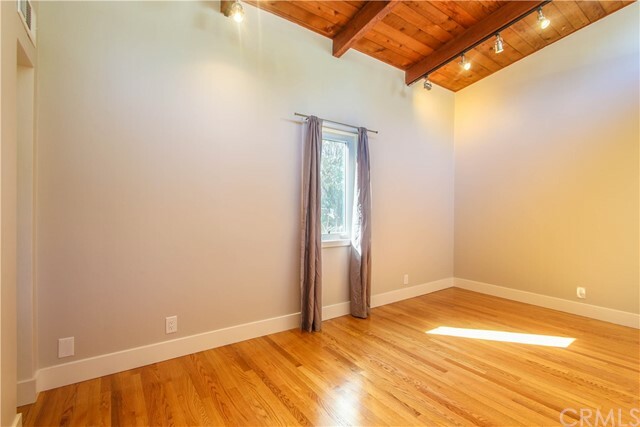 2100 sq.ft. 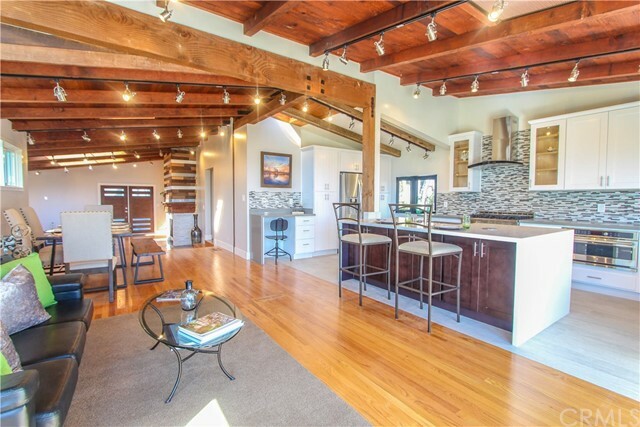 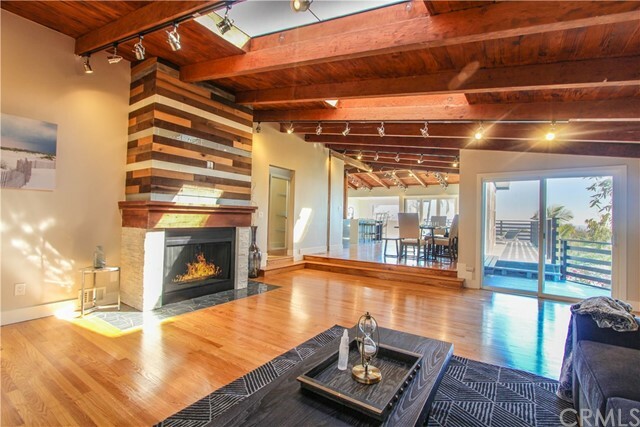 home sits on a 5500 sq.ft. 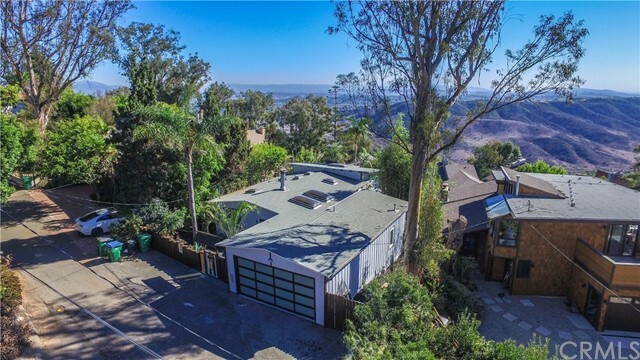 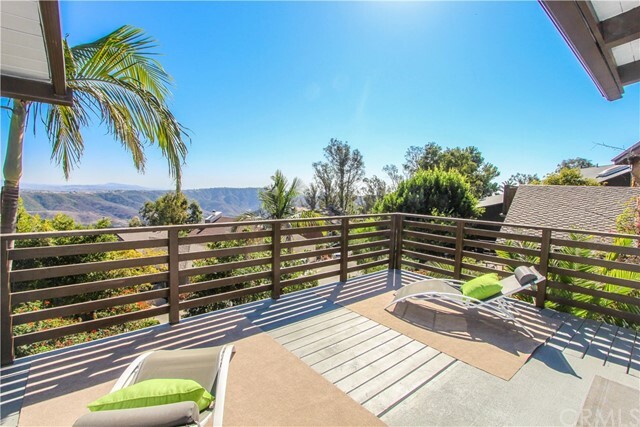 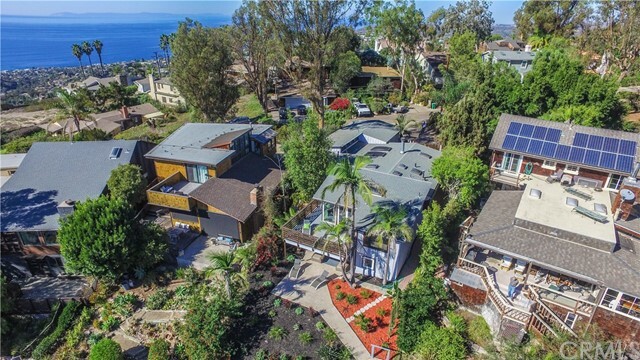 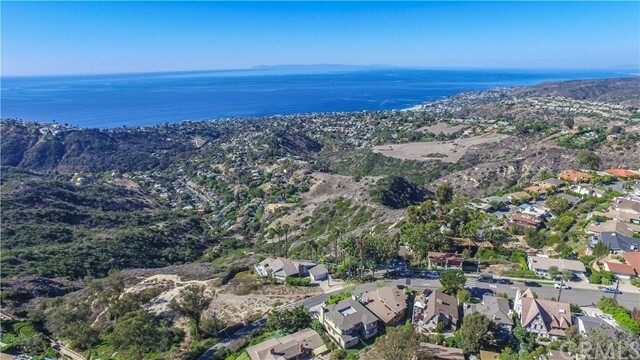 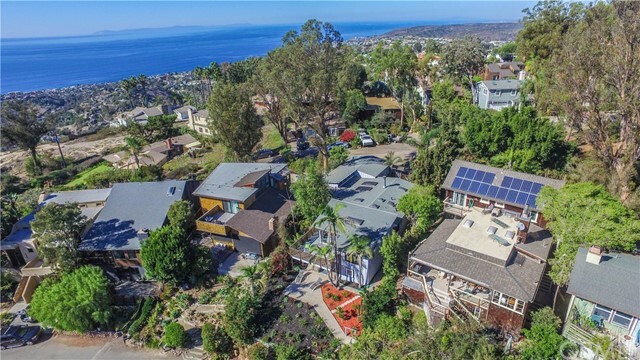 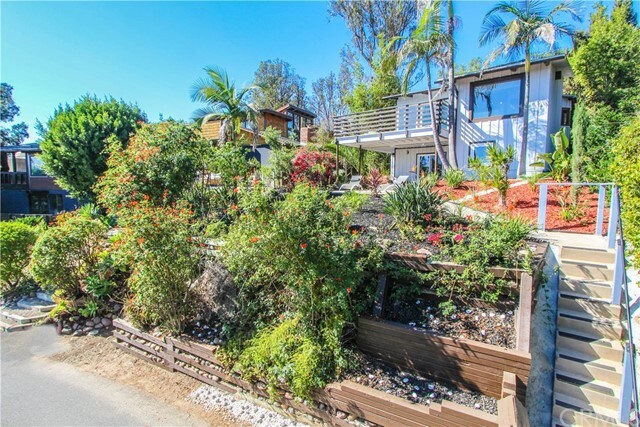 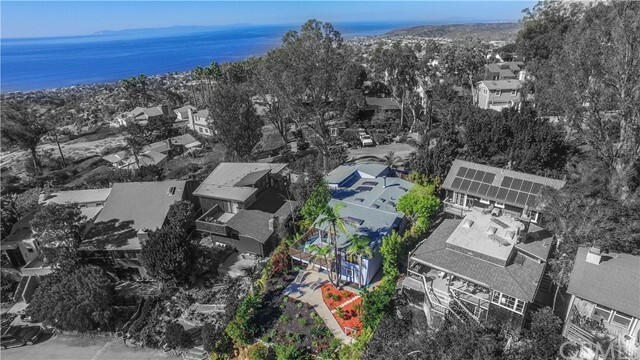 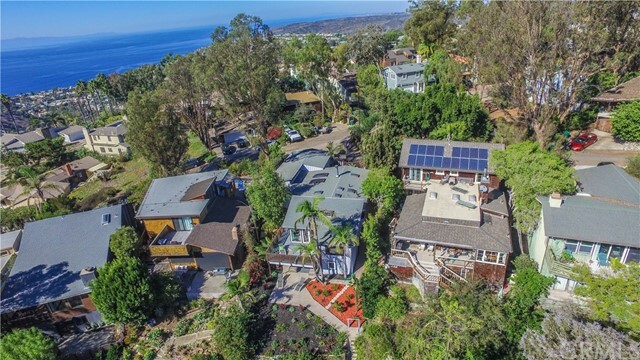 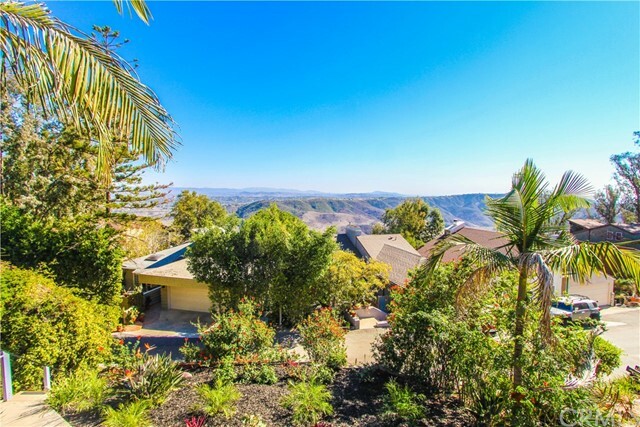 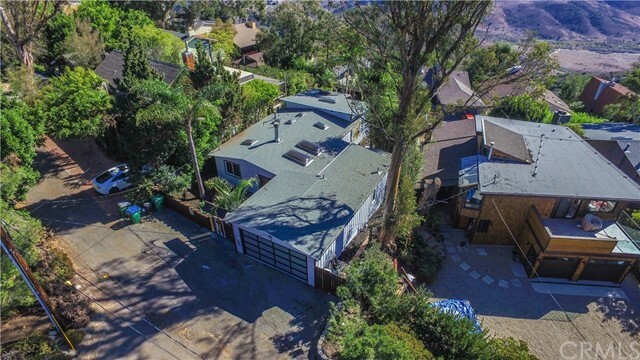 lot, with ocean views of Dana Point and Laguna Beach and with views of Top of the World trail and amazing canyon views. 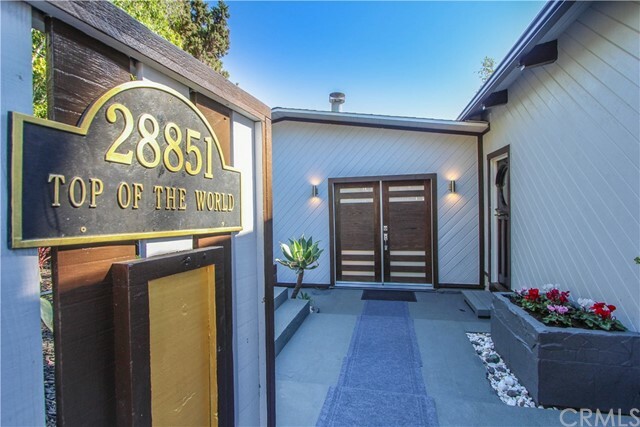 The residence is less than 1000 ft to the Top of the World trail. 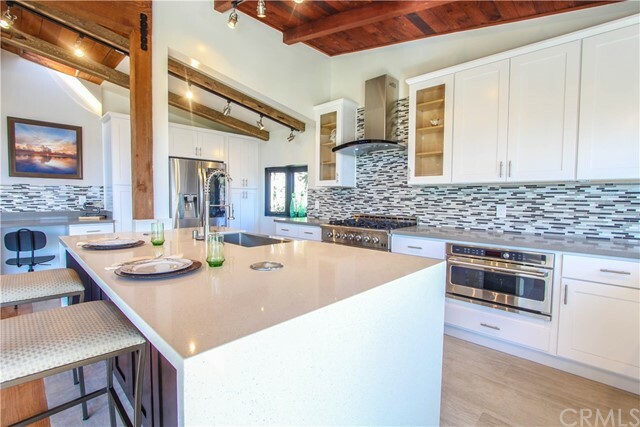 The central kitchen boasts new professional SS appliances with a large quartz waterfall island and sit down counter space for 4. 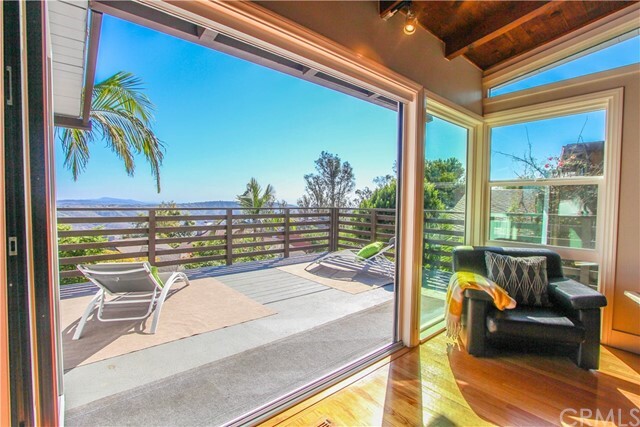 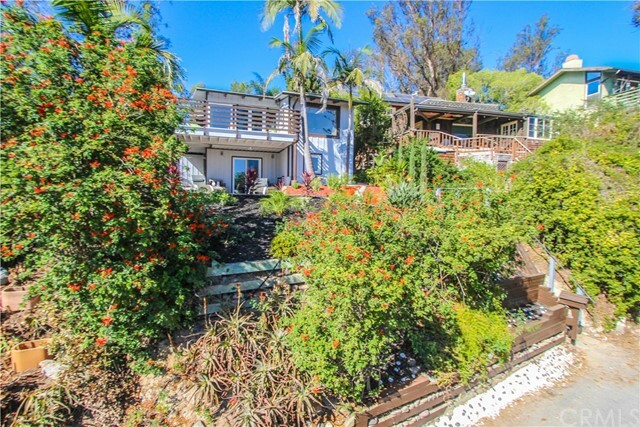 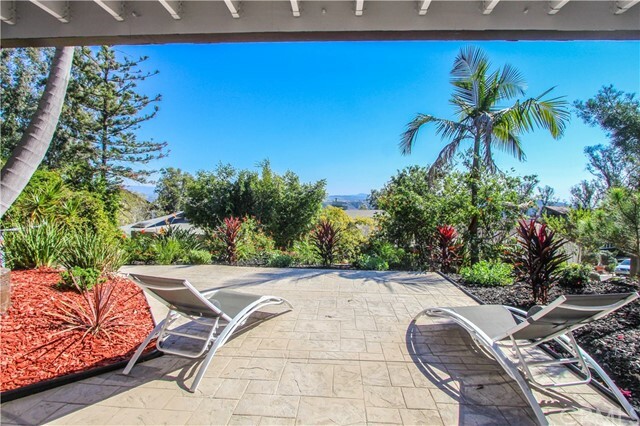 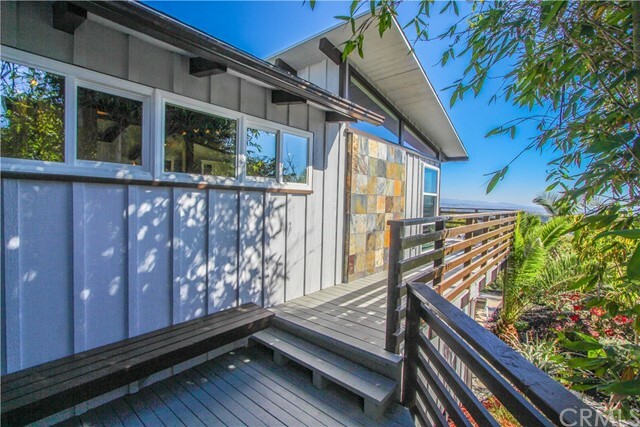 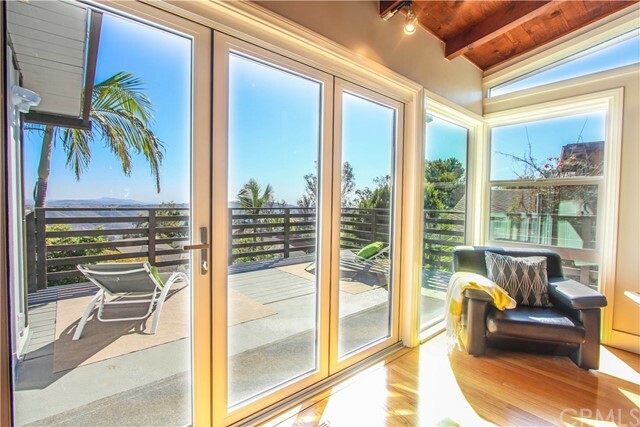 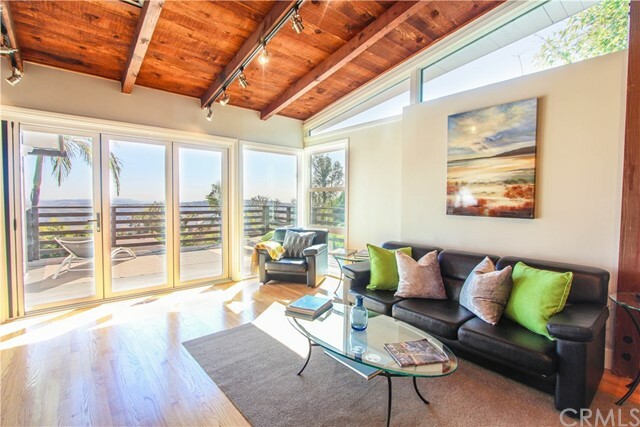 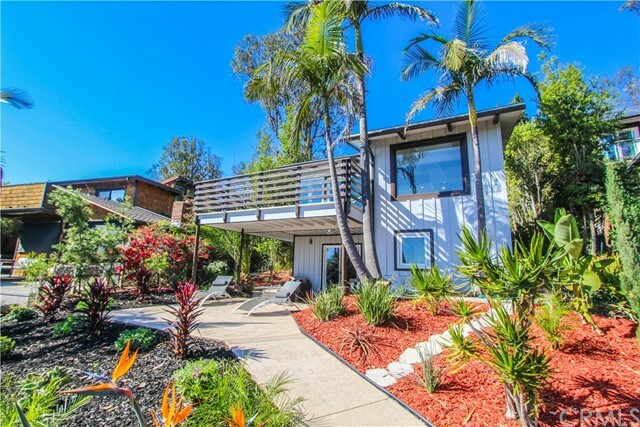 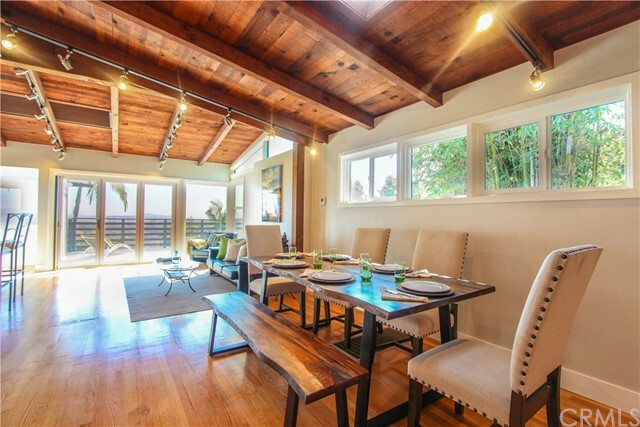 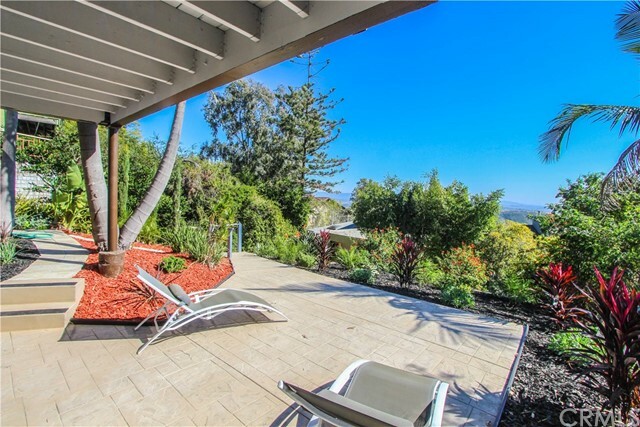 The main entrance leads to a large living room and with full open see thru space all the way to the back of the house panoramic doors leading to a large wrap around deck with extensive ocean and canyon views. 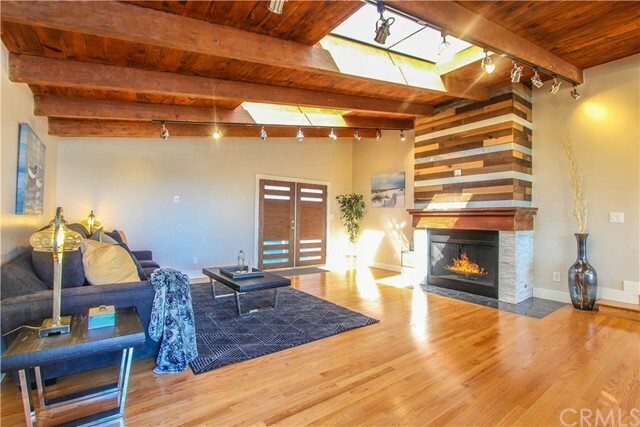 The living room, with large fireplace, has an open concept to the kitchen and family room and the main level bedrooms have open beam ceilings. 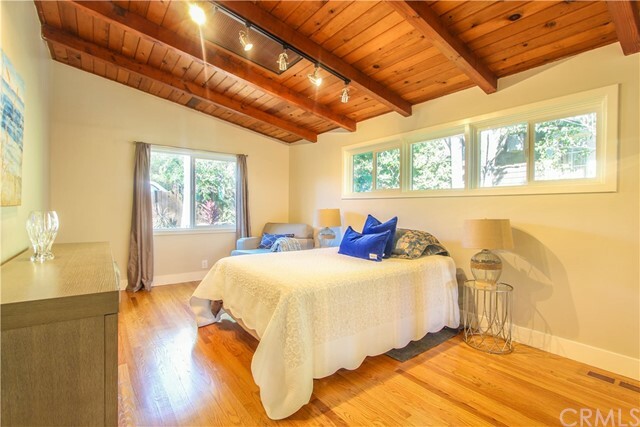 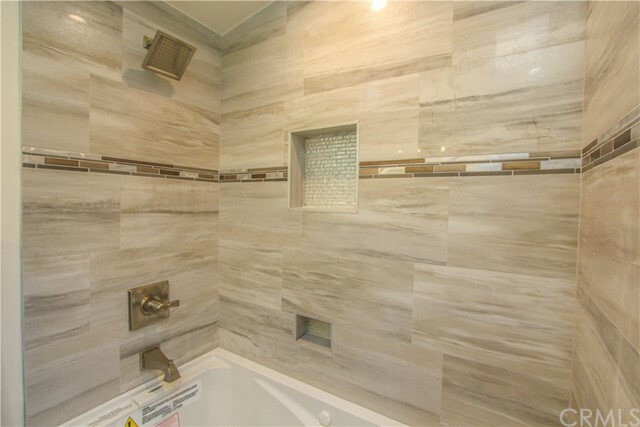 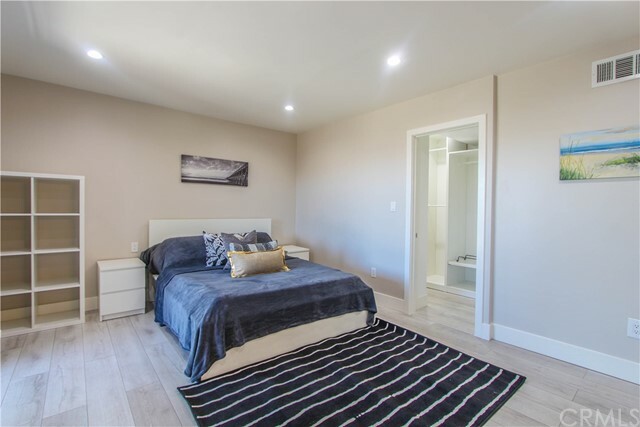 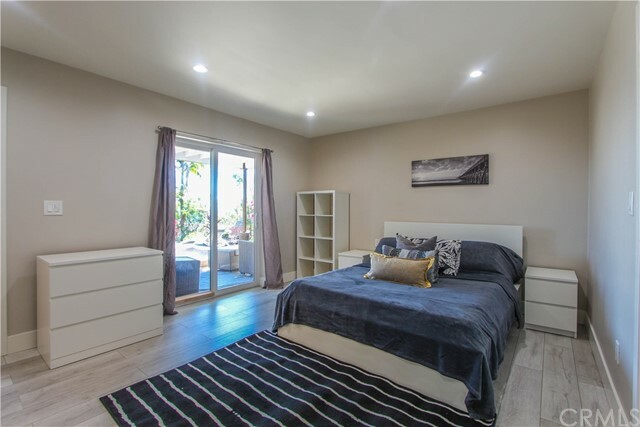 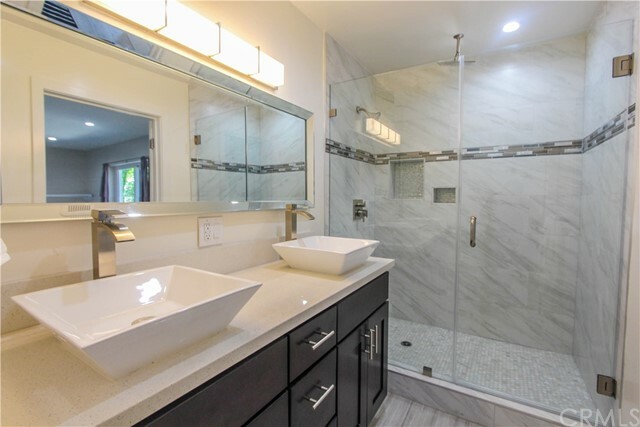 The large lower level Master Suite boasts a luxurious bathroom including, double vanities, dual shower fixtures with rainfall and body jets, a walk in closet, and sliding door access to the patio and backyard. 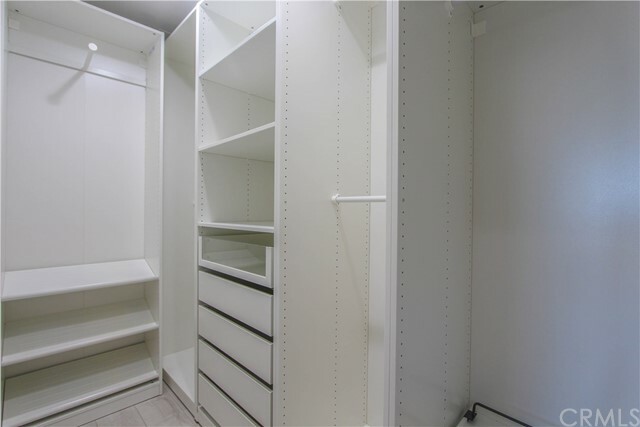 All of the bedrooms have large closets. 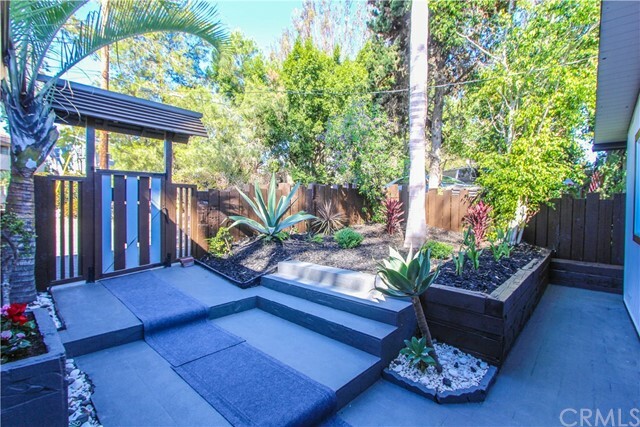 The outdoor entertainment area, perfect for family gatherings/parties, includes a new stamped concrete patio, lush landscaping with drip system, and private stairs.